Need To Sell Your Madera County, CA House Fast? We Buy Houses in Madera County, CA. We buy Madera County, CA houses in any condition! We pay cash. That means you pay no commissions, no real estate agent fees, and no extra fees of any kind. Enter your address and e-mail below then answer a few quick questions on the next page to get a fair cash offer in 24 hours or less. Central Valley House Buyers is a real estate investment company that buys, remodels, and sells homes. We buy houses for cash Madera County, CA and, once our offer is accepted, we can close quickly as we do not have to wait for a bank to come through with financing. Are you planning to sell your home and searching for the best home buyer in the Central Valley, CA. We buy houses Madera County, CA and provide a fair cash offer. Whatever the condition of your house, it doesn’t matter we will buy your house and will close the offer as per your requirement. Have a property or house that you need to sell fast in Madera County, CA? We are currently buying houses in Madera County and surrounding areas in California. The types of properties we are looking for are varied… we buy Madera County, CA houses, small apartments, vacant homes, rental properties, bare land, and the right commercial properties. We buy Madera County, CA houses regardless of their condition. Whether it has water damage, needs work or is move-in ready, Central Valley House Buyers can supply you with a no-obligation money offer on your home. Centralvalleyhousebuyers.com has actually worked with numerous Central Valley property owners just like you to offer a basic, quick, problem-free house buying option that is customized to fulfill your specific requirements. 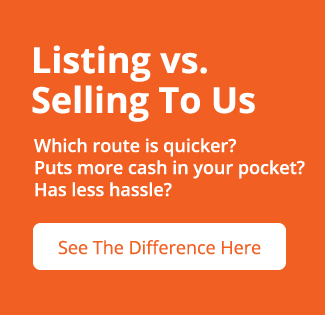 Why Sell Your Madera County, CA House to us? Really, we are experts in taking houses that people don’t want and making them houses people DO want. If you have a commercial property you’re looking to sell in Ca, in particular the Madera County area, email us directly through our contact page or call us at (559) 578-3200.